MasterTrust is a key player in the stock market with hundreds of MasterTrust Sub broker working under them across India. MasterTrust is a renowned share broking firm in Punjab at Ludhiana. The MasterTrust Sub Brokers are spread all over the city and outside as well. The article below will guide you about the sub-brokership programme, security deposits, brokerage plans, business models and lots of other details about the company. The customer of MasterTrust Sub Brokers is quite happy with their services and products as it seems from the ratings which are around 2.5 points out of 5 (overall rating). The products and services are rated 2.7 and 2.6 respectively by the customers as you can check in the table above. Offers are also rated at 2.6 which give the glimpse that sub-brokers are provided with different attractive offers from the company. Market share and trading platforms are rated at 2.3 which is a little lower than the overall rating. MasterTrust is a privately held company in Ludhiana, Punjab. The company was established in the year 1994 and since then it is running successfully with thousands of clients and sub-brokers. It is a full-service broker founded by Harjeet Singh Arora. The MasterTrust Sub Broker code activation time is around 40 days and the payout time is around 45 days. Sub Broker Business Model: Under Sub-brokership business model, the company provides sub-brokership to different individuals or enterprises who on their own find and build a client base. The clients are pitched with products and services of their choices and requirement by the sub-brokers and if there are any sales made, the sub-brokers earn revenue on it. 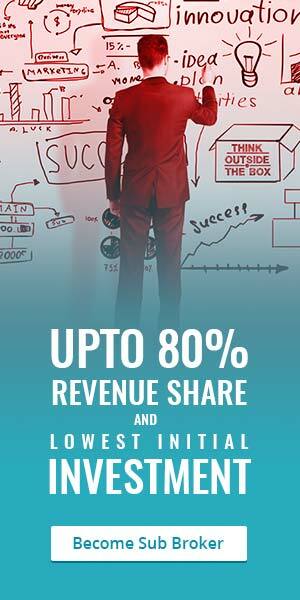 MasterTrust Revenue Sharing Model is simple and comparatively higher than its peers. The maximum amount of revenue the sub-brokers can make is 80% which is quite higher than other similar concerns. The revenue though depends on the number of security deposits the sub-broker keeps with the MasterTrust. If the security deposit is maximum then the revenue ratio will also be maximum. The revenue sharing ratio starts from 60:40 which means the sub-broker with minimum security deposit can make 60% revenue on the sales. The amount of security deposit for MasterTrust Sub Broker starts from Rs. 50000 and goes up to Rs. 100000. As mentioned above, the minimum amount of security deposit which is Rs. 50 thousand will attract 60% of the revenue and it goes up accordingly till 80% if the security deposit is Rs. 1 lakh. A sub-broker’s office of 100 square feet. One employee has to be there in the office working full time. There is no requirement telephone connections. Internet connection is mandatory on the other hand. Research services are not required. Trading terminals have to be there in the office. The amount of security deposit is very low facilitating the sub-brokers. There are different financial products and services under one roof. The company provides flexible revenue sharing option to the sub-brokers. Training is provided by the company to the sub-brokers. Full support is provided along with training. Research reports are shared for acquiring clients and remaining updated about the market. The MasterTrustprovide thorough support to the sub-brokers ranging from marketing support to advisory support including back-office as well. The company also provide product training for the sub-brokers to make them well educated about the products of the company and how to pitch them to the clients. The MasterTrust Sub Brokers have fixed brokerage rates for each asset classes. They charge 0.10% for equity delivery. 0.01% for equity delivery, futures – both equity and currency and commodity as well. For options, the charges are Rs. 10 per lot for equity options and Rs. 5 per lot for currency options. The MasterTrust Account Opening Charges is Rs. Nil and also the AMC for a trading account is free. The only charge you have to pay as a client is Demat AMC which is Rs. 300. The minimum margin amount that you need to keep is Rs. 10000. The transaction charges are fixed at 0.00325% of the successful transaction. MasterTrust sub-brokership is one of the highest earning potential sub-brokership programme at present. Investment is too low for the sub-brokers. Thorough research reports and expert advise are available. There are no account opening charges and the annual maintenance charges are low. Most importantly, it has one of the lowest brokerage charges.